You may love to shop, but buying gifts for loved ones can make anyone anxious. 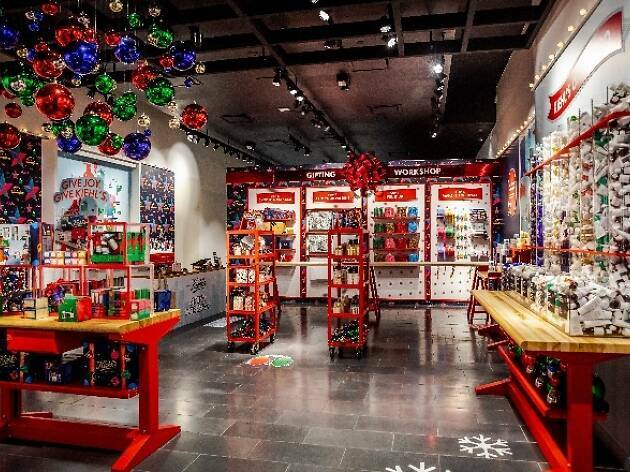 So where should one go shopping in NYC during the merriest time of year? Aside from Gotham’s amazing holiday markets, we recommend checking out one of the many holiday pop-ups to solve your gift-giving conundrum. These brands create a totally seamless shopping experience by offering the utmost best Christmas gift ideas, so you won’t have to think twice about whether or not a certain items will make a great present. 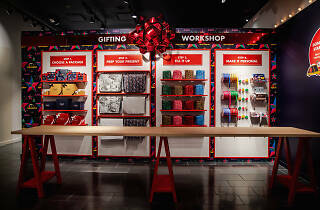 Here are a few of our favorite pop-ups based on their products as well as their holiday perks. Consider them Santa’s not-so-little helpers! Need a gift for a beauty or skincare addict? Do him or her a favor by scooping up personal care products from this reliable brand's “workshop” located in Soho. Aside from Kiehl’s luxurious remedies and beloved goods, there are hands-on activations including interactive window displays and a “Snow Globe.” Best of all, you can customize your own Kiehl’s gift box and fill it with your giftee’s favorite lotions, creams, oils—you name it. Added bonus: Complimentary custom gift wrapping is available for shoppers who spend $75 or more. 513 Broadway (kiehls.com). Open Mon–Sat 10am–9pm, Sun 11am–8pm through December 24. Stone and Strand "Past, Present, Future"
Dainty jewelry never goes out of style, which is why any bauble purchased at Stone and Strand’s modern-mystical pop-up would make the perfect gift for a lucky someone (especially if they’re into astrology). The jeweler’s holiday theme is “Past, Present, Future,” so shop for studs in the shape of constellations, stars and other astro wonders in addition to the brand’s signature and timeless necklaces, bracelets, rings and earrings. Aside from the bling, a professional piercer is available on-site in case you (or a friend) wants to adorn their lobe (conch, cartilage, etc.) with some sparkly swag to show off during holiday party season. 171 Elizabeth Street (stoneandstrand.com). Dec 6–16 noon–8pm; Sign up here to schedule a piercing. Disclaimer: STORY is not a pop-up, but it is a rad, ever-changing concept shop we simply can’t get enough of. 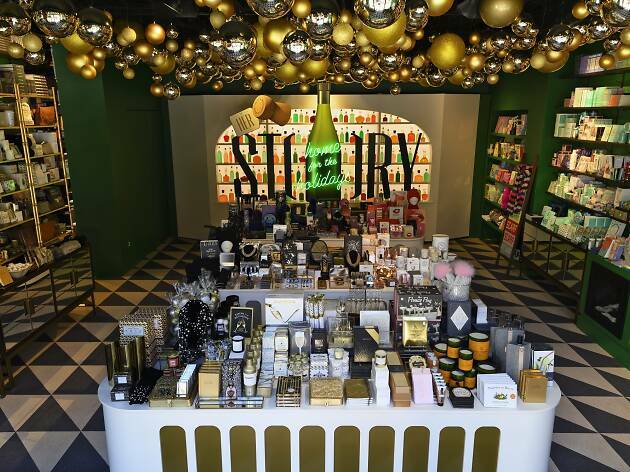 Owner Rachel Shechtman’s new holiday setup, once again designed by David Stark, has “champagne” bubbles dangling from the ceiling and more bottle popping-inspo to celebrate all the brands and local creators STORY has partnered with over the years. 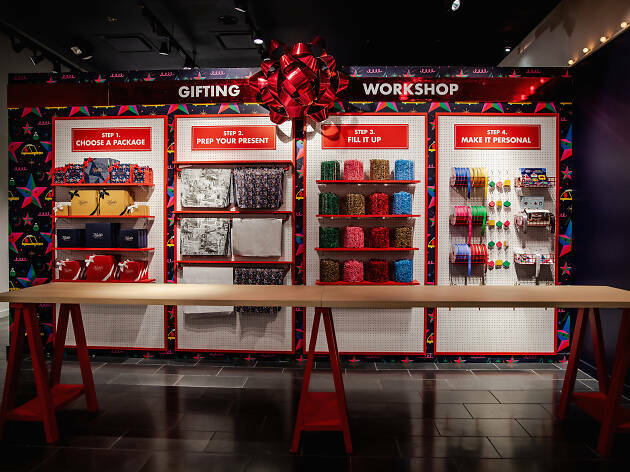 Prepare to geek out over more than three thousand foolproof presents from some of the best companies in retail, including perfect NYC-themed presents like pizza socks and a box of chocolates in the shape of a taxi and a big apple. And there’s an extra incentive to shop during STORY’s series called Snack and Shop Saturday when grub from Wafels and Dinges is served. Concept lasts through January 1. Rather than buy presents for your family and friends, give back to those who truly need our help: Refugees. 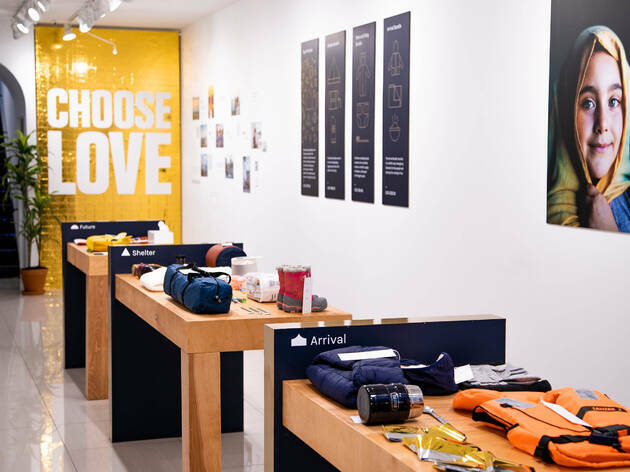 For a short period of time, Choose Love wants shoppers to come in and buy products for those who are less fortunate. The store is broken up into items that are needed for their survival (emergency blankets, warm clothing and food) as well as goods and materials needed for refugees to have a promising future (educational materials, disconaries, keys to a home). Every purchase goes toward a similar item for a refugee, which will then be distributed by Help Refugees and their partners across Europe and the Middle East. This is such a simple way to give back and spread those warm and fuzzy feelings during what can be the hardest time of year. 456 West Broadway (choose.love). Open through December 25. Bloomingdale’s isn't technically a pop-up, but the brand is doing the absolute most to make holiday shopping in the city less stressful and more festive with special and temporary holiday activations. 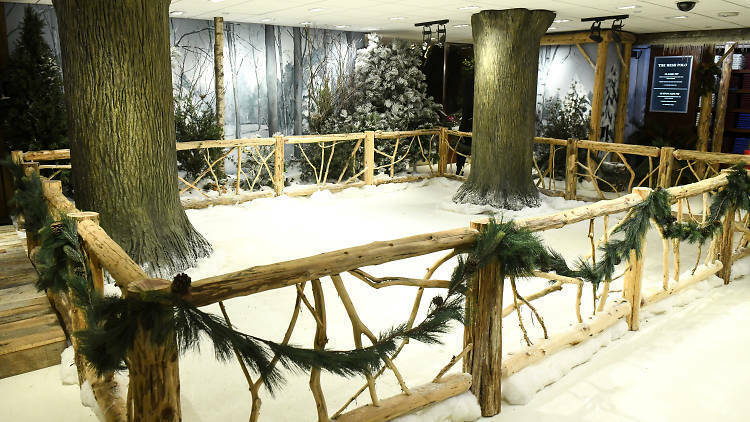 The next time you visit the luxury retailer to nab some gifts for yourself (ahem, we mean the fam), check out the winter wonderland on the lower level. In collaboration with Ralph Lauren, you'll be able to set your shopping bags down for a chance to go ice-skating in-store. Ralph’s coffee bar is nearby to give you a sugar boost (hot chocolate is served) after all that gliding. 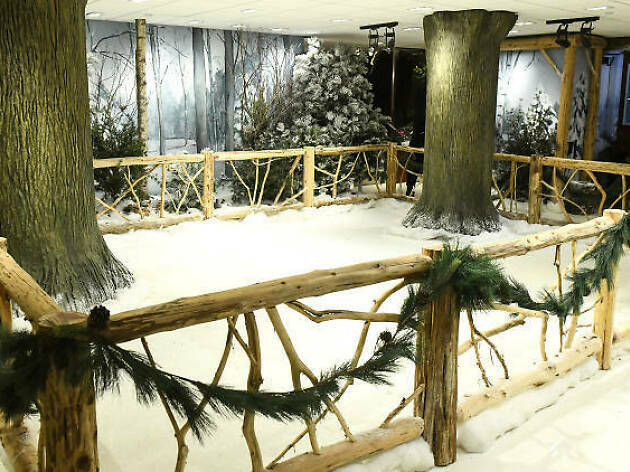 On the same floor, virtual reality fans can sit inside cozy snow pods and get whisked away into a virtual sleigh ride experience. And that's not all! 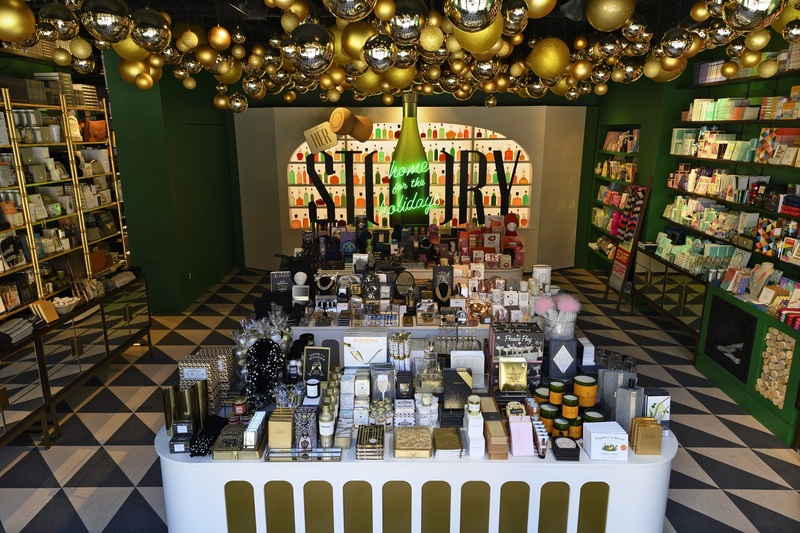 This holiday pop-up on Allen Street is all about selling craft goods created by online-only brands that are known for their outstanding products. Many of them are menswear-focused, so this is certainly one of the best spots to pick up a present for a special fella in your life. 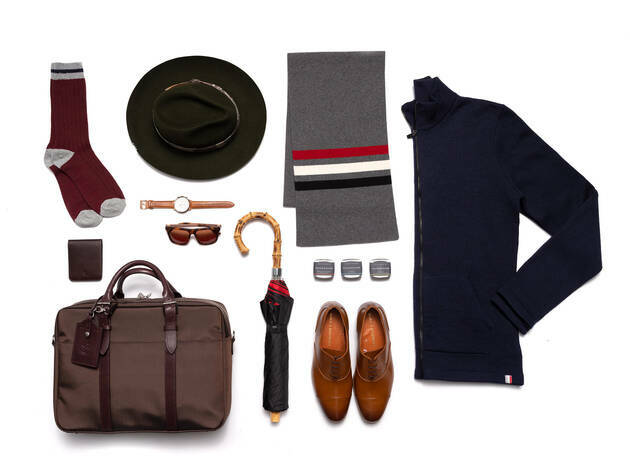 Ampersand Collective partnered companies like Stuart & Lau’s luggage, BM Franklin custom hats, Wolf & Shepherd dress shoes and Tokyo Bike two-wheelers, so go and shop these artists’ creations and don’t forget to pick up a little something for yourself too. 198 Allen Street (ampersandcollective.nyc). Mon-Fri 11am–7pm, Sat, Sun 10am–8pm. 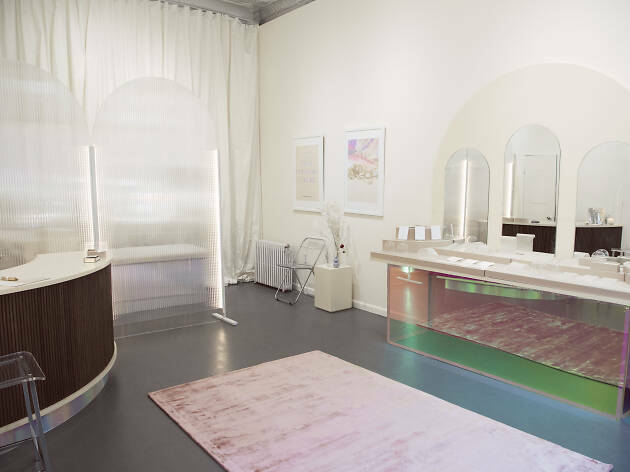 Nab a gift for the music junkie or tech-lover in your life at this luxury design company’s Soho pop-up. Modern and generous presents include the Beoplay H3 bluetooth headphones ($159) or the Beoplay P2 bluetooth speakers ($169). Aside from the brand’s full range of merchandise, shoppers get an extra treat on select evenings. 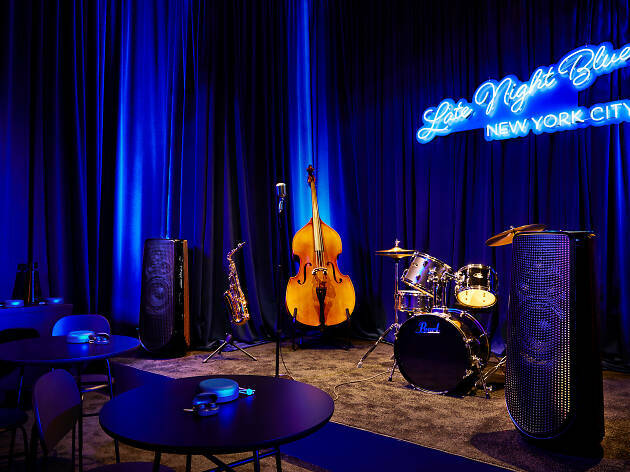 To honor the Late Night Blue special edition collection, which gives a subtle nod to New York’s rich history of jazz, catch live beboppers and jive artists play inside the store’s intimate club. Added bonus: Complimentary cocktails are served. 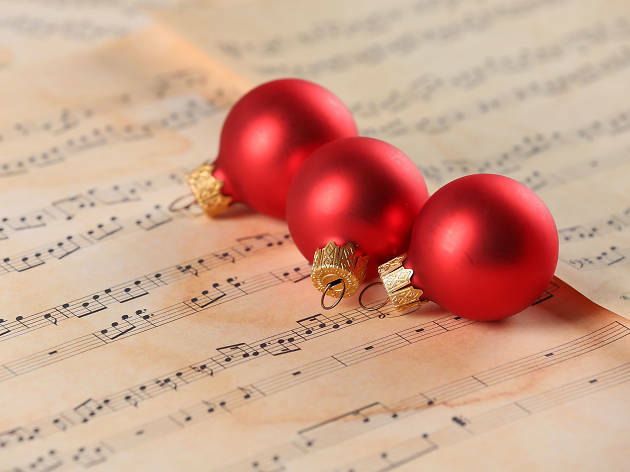 The next show is held on December 20 from 6–9pm. 121 Spring St (bang-olufsen.com). Open daily 11am–7pm; close date TBD. 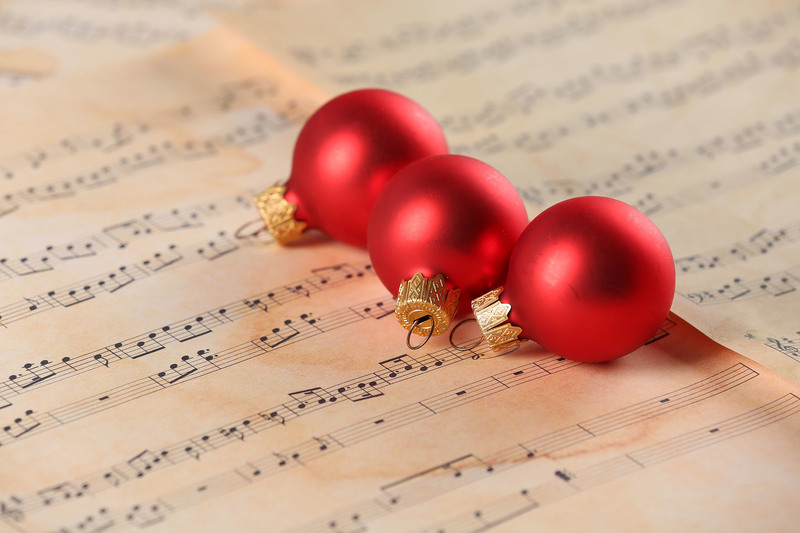 Need a playlist for Christmas?